Ya lor. 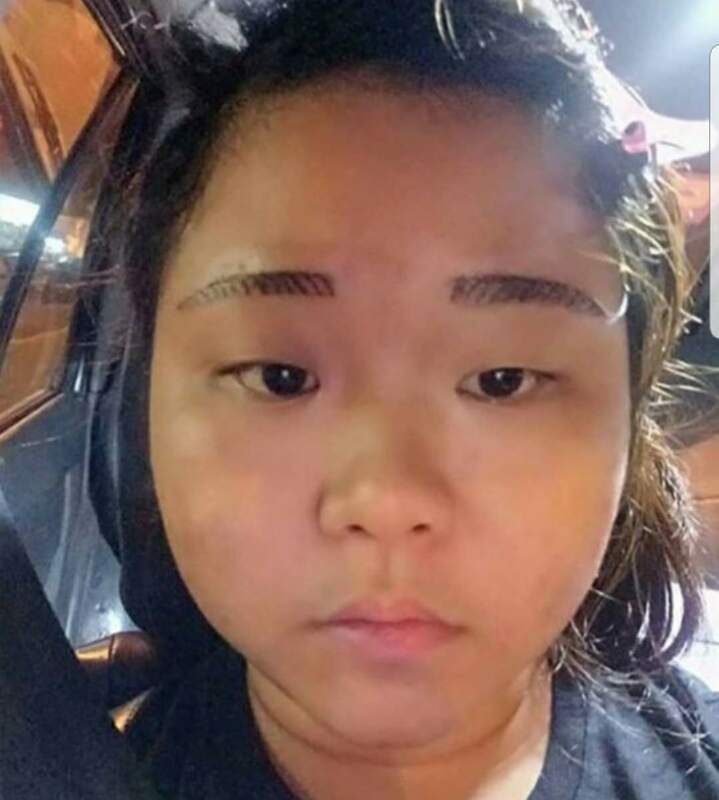 Singaporean hopeless . So need FT like you to remind us . teeth53 said: 70% Goodoon lahh, 30% lagi worst, thot berri smart. Lao goh doing damage control on his FB. But like peanut woman, mediocre man is in trouble. WhatDoYouThink said: this df now duno got 5k a yr or not. now then see the clear picture. all along he has been talking down to everyone because you are worst than mediocre. elistist mentality. doomed already, that is why the slave mentality for old people to slog it out until 80 years old in hawker centers etc. Someone said: You never read the many threads here meh? Tong Tong proven himself Below AVERAGE. Is the whole P A P team all like him? 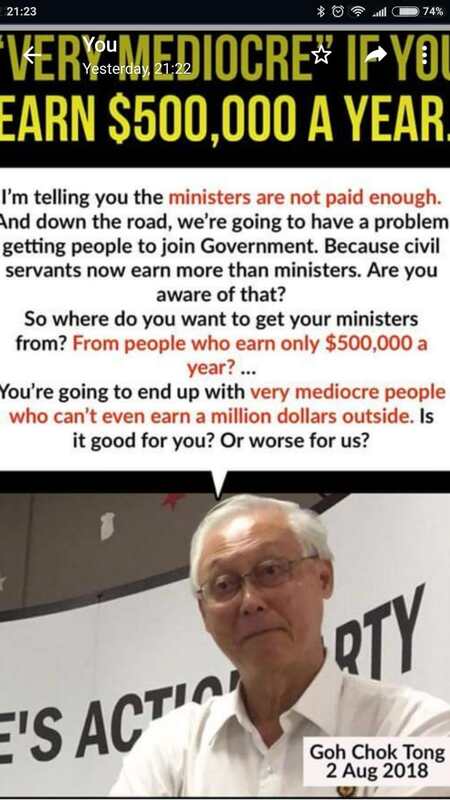 CIvil servants earn more than ministers? I dont ever in my life recall that a teacher, who is a civil servant, earns more than a minister. Oops said: Tong Tong proven himself Below AVERAGE. Is the whole P A P team all like him? Oldman said: I like his reasoning. Money shouldn't be the prime reason to serve the country. It has been proven that with well paid jobs civil servants still commits CBT. Mr Goh says he asked 2 highly paid guys to join the Govt n they declined. Maybe he is asking the wrong guys or these guys have other reasons other than the pay to refuse him. Even with the present high pay for all the Ministers the results are mediocre. Its the selection system I believe must improve. The Govt think if they select the top brass from the Army or Navy or likewise, these guys can do a good job. They have never suffered, never gone through fire n testing, how to ever do a good job. At best they are very good ADMINISTRATORS and good at taking orders. That was what they ere trained for in the 1st place..... being YES MEN. How to ever have quality in the Govt. The selection criteria is WRONG in the 1st place. YES MAN is the Govt 1st priority not capability. Don't you agree? Current time: 19-4-2019, 5:16 PM Powered By MyBB, © 2002-2019 MyBB Group.